The Galaxy Note 8 is a pretty phone, but those of us in the US were stuck picking between the "Midnight Black" and "Orchid Gray" versions. The true looker in Samsung's lineup was the "Deepsea Blue" color variant, which was only sold in other markets. That changes today with news that Samsung is bringing this color to the US. It won't be available everywhere, though. Let's say you've gotta have this new blue phone. Well, you can pick it up from Best Buy or Samsung starting November 16th. Best Buy doesn't sell phones from T-Mobile, so there's no Tmo-locked version of the blue Note 8. You can get it on Sprint, AT&T, or Verizon from Best Buy. Samsung will sell an unlocked version of the Deepsea Blue Note 8 that works on all carriers. Pricing should be the same as other versions of the phone, so between $900 and $1,000 total. 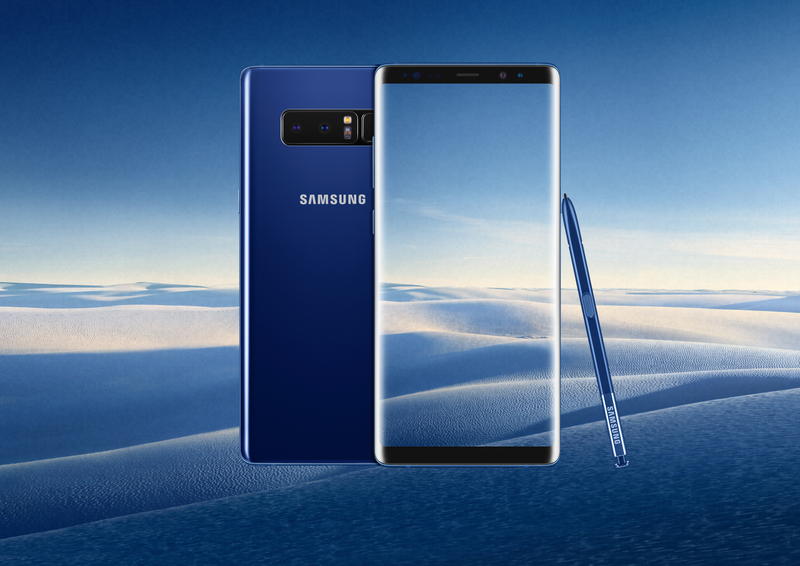 Samsung Trade-In Program For U.S. customers who trade-in an eligible device, they can receive an instant trade-in credit towards a Galaxy Note8 in any color. For more information on Samsung’s trade-in program, visit http://www.samsung.com/us/trade-in/.